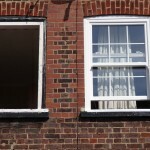 Stunning sash windows – ideal for all properties in Richmond and Ham! 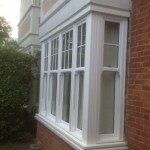 If you are looking for beautiful, classic sash windows for your home or commercial property in Richmond or Ham, then Merton Windows are the team to call! 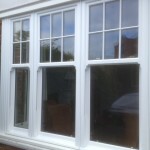 We have been supplying and installing sash windows, alongside an array of other quality glazing products for many years, including timber windows, aluminium windows, uPVC windows and doors, Residence 9 windows, bi-folding doors, patio doors, French doors, composite doors, conservatories, porches and roof lanterns. We believe that windows and doors are an important feature of any property and they must not only be as energy efficient as possible, but they must also be in keeping with the style of the building, offer exceptional security and enhance both the look and value of your property. With that in mind, we offer supply and installation of made-to-measure products from leading manufacturers, backed up with a 10-year guarantee for your complete peace of mind. Our local, established and professional company has built up an excellent reputation in your area and we are known for our attention to detail and superb customer service, combined with our expert technical knowledge. We will aim to help you in any way we can, so you can achieve the look that you are after. Please request a no-obligation quote by calling us now on 0208 542 2233. 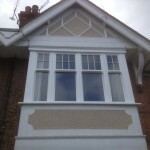 Sash windows are a distinctive and attractive product, associated with traditional British architecture, so whether you want to update an older house or add some classic charm to a more contemporary property, we can assist. 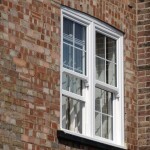 Our sliding sash windows come in a range of materials, including reinforced uPVC, aluminium and timber and are sourced from the very best systems on the market. These windows combine the classic design and elegance of a traditional sash window, yet offer all the benefits of a more modern technical product. So you can expect excellent thermal efficiency and security and none of the drafts and jams that older vertical sliders are associated with! 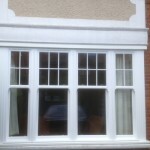 We know that when you are thinking about sash windows or any other replacement windows, there are lots of factors at play. Let our expert team guide you! We are always happy to offer FREE no-obligation quotations, along with scaled drawings, so you could envisage what your new windows will look like. Call our team now on 0208 542 2233, email at [email protected] or fill in an online enquiry form and we will get back to you.